Marvin Comments: I’m not sure this is science fiction. But it has a rocket on the cover! It’s not science fiction. It’s a murder mystery about science fiction writers. He thought he could dive OUT of the way. Damn suit-seeking missiles. Super Science and Fantastic Death never did get their off-off-off-off-off-off-Broadway revue to the stage. Too much focus on jazz hands, and not enough on OSHA compliance. Fantastic Death? Maybe if you replaced the rocket with a cyborg shark. The things some people will do just to win a game of dodgerocket . . . .
Brett Kavanaugh realizes he is in the sights of the #metoo movement. @JuanPaul—I’m glad you pointed that out. I saw the resemblance to Kavanaugh—which is actually pretty striking—but didn’t want to get too political on a Monday morning. 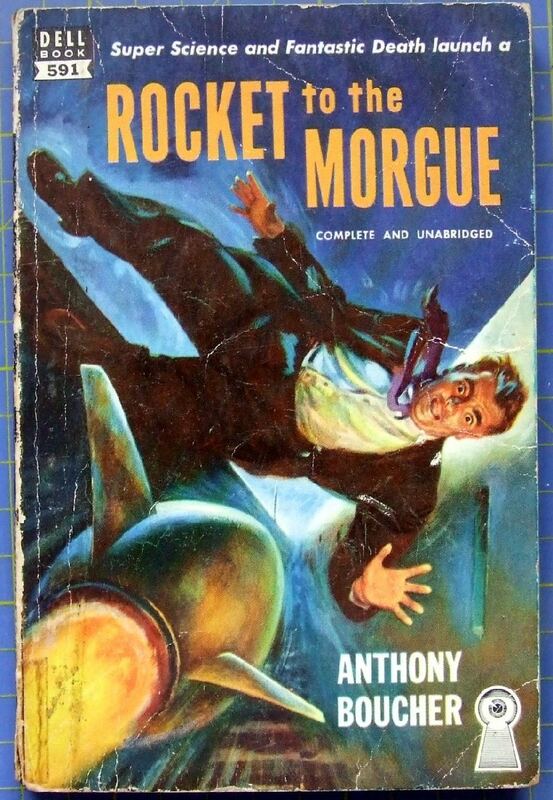 This cover really does provide a sense of what he must be feeling like as the Thursday rocket approaches. For a less political likeness,* I immediately thought of Jack Black. *Unless he’s done something now too. It’s hard to keep up. After Thursday, the title may describe Kavanaugh’s career.